All vehicle fleet operators know that to avoid costly breakdowns it is important to have a trustworthy and high-quality supplier of remanufactured alternators and starter motors. All Leyland Auto remanufactured products carry a 12 month guarantee, are to original equipment specifications and all procedures are carried out to ISO9001: 2000 standards. Within our Preston premises, Leyland Auto has a fully equipped 11,000ft2 auto-electrical remanufacturing plant. It houses specialist workshops and our engineers have the expertise to offer guaranteed quality, backed up by technical support on the phone or over the counter. 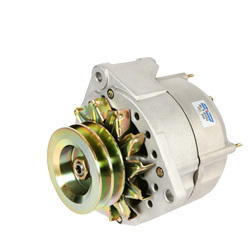 Leyland Auto holds over 3,500 different alternators and starter motors in stock. Our range not only covers commercial and heavy-duty applications, but also specialist products for rail, marine, industrial, and agricultural applications. We also supply a wide range of units from leading OEM manufacturers such as Bosch, Prestolite, and Delco Remy.